Sound and Vision in Hilverum was interested in buying Retro Space arcade cabinets for their museum. 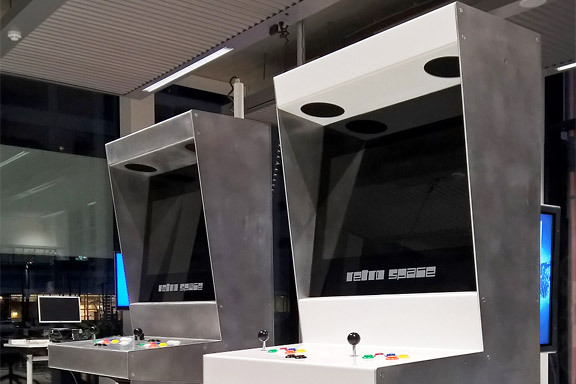 This request demanded an extra durable version of the Retro Space cabinets. The new cabinet is fully re-engineered in folded aluminium sheets. The cab is fully modular, perfectly recyclable and gets prettier from a little use.